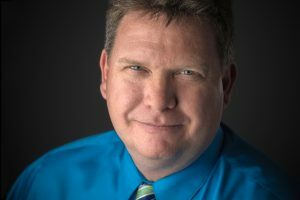 Award-winning investigative journalist Ted Bridis will join the University of Florida College of Journalism and Communications as the Rob Hiaasen Lecturer in Investigative Reporting this fall. The new Journalism Department position honors Rob Hiaasen, B.S. Telecommunication 1981, who was killed on June 28 in the Capital Gazette shooting. Since 2007, Bridis has been editor of the Associated Press’ Pulitzer Prize-winning Washington investigative team and is AP’s leading newsroom expert on security practices for source-protection and on the U.S. Freedom of Information Act and related laws. 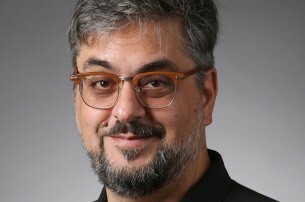 His investigative team won the 2012 Pulitzer and Goldsmith prizes for investigative reporting on NYPD intelligence programs, and he led AP’s efforts that won the $10,000 Eugene S. Pulliam First Amendment Awards in 2011 and 2014. He won the 2014 Shadid Award for Journalism Ethics and the 2014 Society of Professional Journalism Ethics in Journalism Award. His team’s coverage of hurricane flooding at toxic waste sites was a finalist for the 2017 Investigative Reporters and Editors Award in the category of investigations triggered by breaking news. He was the first journalist to discover and trace Hillary Clinton’s private email server to her home’s basement in Chappaqua, New York. His investigative team was first to reveal in August 2016 Paul Manafort’s and Rick Gates’ covert foreign lobbying activities. He has been one of AP’s seven analysts since 2004 responsible for projecting winners in national elections (his call in 2016 allowed AP to be the first new organization to project Donald Trump winning the presidency). Bridis previously covered technology, hackers, national security and the Justice Department for the AP in Washington, where he has worked since 1998. He has a journalism degree from the University of Missouri and will be teaching courses in fact finding and investigative reporting, among others.